Lindy earned her Masters in Physical Therapy from the University of Colorado Health Sciences Center at Denver. She has more than 20 years of practice experience in the fields of General Orthopedics, Women’s Health, and Pediatrics (Early Intervention & School-Based Physical Therapy). 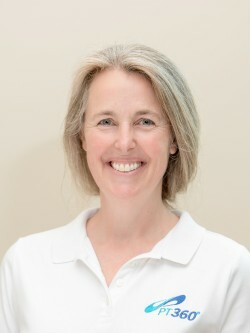 Lindy has completed additional professional training in Myofascial Release and Dry Needling techniques. Lindy deeply enjoys connecting with patients in pursuit of the goals that are most meaningful to them. Lindy and her family recently moved to the wonderful state of Vermont. She enjoys cross-country skiing, walks with her dog, and paddle boarding on Lake Champlain. She is an avid cook and gardener, and loves spending time with her family.